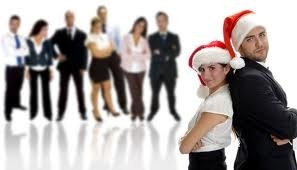 Should employees be paid while attending the office Christmas party? If an employee works during their end of year celebrations, can they successfully file a wage claim? During December, most employers in Singapore provide office parties to thank their employees for their contributions over the year. While most employees are able to relax at their staff parties, some workers (including HR professionals and administrative assistants) need to perform official duties during the festivities. Can employees claim wages during holiday parties if the celebrations are held after official working hours? Shaun Lee, supervising associate at JWS Asia Law Corporation, said that it would mostly depend on whether or not the employee is covered by the statutory overtime payment regime or if you have an overtime pay agreement with the employee. “Unless your employment agreement provides for overtime work payments, statutory overtime payments are only applicable for those employees covered by Part IV of the Singapore Employment Act. These refer to non-workmen employees earning less than $2,500 a month and who are not executives or managers,” he said. Additionally, he said that statutory overtime payments can only be claimed if the employee did official work at the request of the employer. “So if an employee voluntarily does additional work, there would be no entitlement to statutory overtime payment,” he said. If the work being done is in connection with the holiday party itself such as handling logistics, programme direction, or party registrations, he said the same rule applies. “If the employees are there doing work at the behest of their employer and these employees are covered by the statutory overtime regime, then they should be entitled to overtime payment,” he said. In order to avoid the situation altogether and to not cause any ill-will or misunderstandings with the employees, he suggested only using volunteers to help organise the holiday party. “That way, any overtime would not be at the request of the employer. Similarly, if the employees are not covered by Part IV of the Employment Act and there are no contractual overtime payment entitlements, the situation would be avoided as well,” he said.